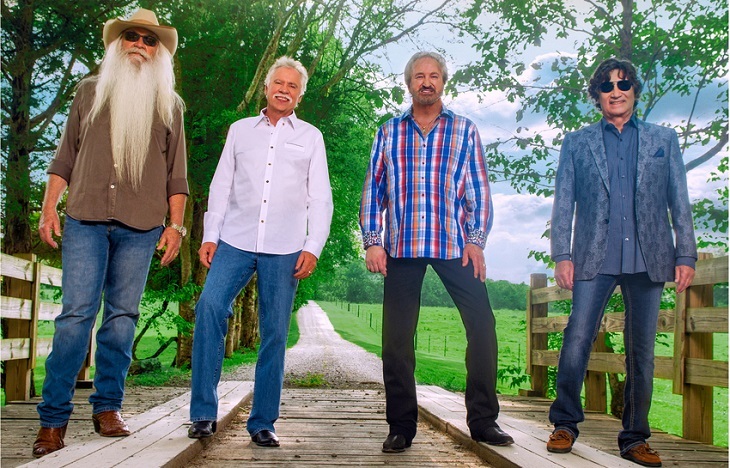 After selling out in a matter of two days, The Oak Ridge Boys have added a matinee concert on Saturday, March 23 at 3: p.m. at the Robinson Grand Performing Arts Center to meet the demands of their fans. “We sold out the majority of tickets in a matter of four hours for the original 7:30 p.m. concert and after a couple of days, we were completely sold out. After receiving hundreds of calls and messages from disappointed patrons, we reached out to the promoter and began talks of adding another show. It came through and we couldn’t be happier to give this second opportunity to our community. We still receive inquiries almost daily,” said Sales and Marketing Manager Emily Moore. Tickets will go on sale on Friday, January 18 at 10 a.m. EST. There are two ways to get your tickets. Go online anytime at tickets.therobinsongrand.com or purchase tickets over the phone by calling (855)-773-6283 on Monday through Friday, 10 a.m. to 11 p.m. Patrons are advised that setting up a patron account ahead of time will speed up the process. There is a limit of ten tickets per patron for this event. Stay in the know with all things Robinson Grand by finding us on Facebook and liking our page! Go to https://www.facebook.com/RobinsonGrand and hit like and follow to be the first to get news on upcoming events and performances.